Looking for the ultimate high impact colour? Just Bleach It! Full head bleach applications in the salon used to be few and far between, but this last couple of years has seen bleach and tone services become one of our most popular. That's down to fashion trends and also the massive improvement in products. The quality of the Schwarzkopf bleach we use now (which contains FibrePlex) is incredible and allows us to push the boundaries with hair colouring, achieving results that would've been impossible just 5 years ago. Another big advancement is the variety of toners that have emerged to come in line with the current trends. Clever combinations of toners can create the most stunning colours, and more and more shades are appearing all the time, plus the longevity of the colour is getting better too. The improved quality of products means as stylists we're much more confident to take on even the most challenging colour changes. It's not all down to products though! Bleaching and toning is one of the most technical and unpredictable services. Dealing with such potent products and understanding the way hair lightens through various stages, along with a strong understanding of which tones neutralise different kinds of warmth means its reserved for highly skilled hairdressers. It's a service that really separates a skilled stylist from an amateur. The majority of our team have carried out a huge number of bleach applications over the last few years, with some incredible results. Knowledge is shared across the team and the boundaries of what can be achieved are pushed all the time. As a company we're always looking to progress to the highest possible level so we always jump at opportunities to refine our techniques. Schwarzkopf added the 'Just Bleach It' course to their portfolio this year. We sent 8 members of the team on the course to build their skills to a new level! 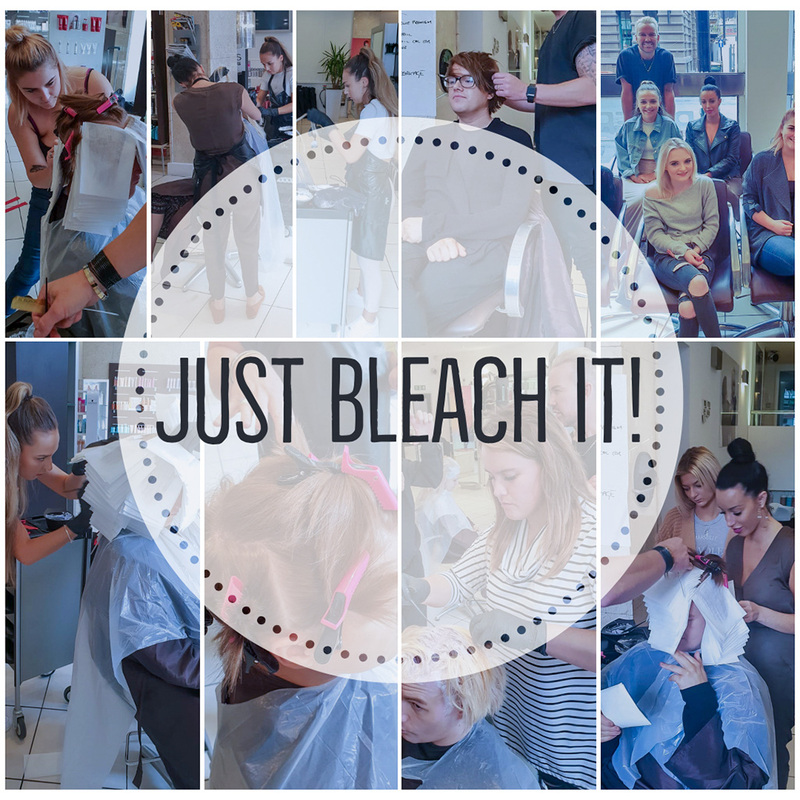 The course was held in Manchester and gave the team the chance to experiment with some new ideas and techniques in both bleach application and toning choices. Our very own Matt had decided to go back blonde (again! )just before the course so put himself forward as one of the models. The end result on his hair was superb! The whole team had an amazing day and came back inspired to try out some of their new techniques and toning combinations. Next week the team are pushing their balayage skills forward on another inspirational Schwarzkopf course!